First of all, a very big thank you to RitaGamer for doing this Q&A. I’m sharing both British Q&A in one post, so its quite a long one but a nice read. This just shows how much interest/demand there is for more British vehicles in the game. We definitely need more introduced to the game and there are plenty to pick from. Also, some sort of confirmation has been given that WG is working on a new British line, can’t wait to see it in the game. Again, all questions are from RitaGamer blog readers and were answered by Ogopogo, Okinoshima, OhSlowpoke, Ed.Francis, Listy, and Vollketten. Q1: NOT_SO_NICE_: Please could you ask what the plan is with both the chieftain and the fv215b (heavy)? If a chieftain line is implemented what might it consist of and when could be added to the game? A: WG has already said that the Chieftain will be added. It’s better to see it head up a whole new line instead of just slapped in to replace an existing vehicle. Better for WG and better for a new line introduction. Q2: Aditya: So Superconquorer or chieftain or both? Aditya: Are they a dream or a reality in near future? A: No version of the Conqueror was or should ever be called or referred to as a ‘superconqueror’ . Ideally, both should be coming to the game. Please don’t use the ‘superconqueror’ moniker. We don’t need WG inventing another fake name for an in-game vehicle. – Looking at you ‘Matilda Black Prince’- None of us are in the business of inventing names for vehicles. Where we may have a design with no official name a nickname (contemporary) may be suitable and failing that the logical official name could probably be worked out. If that fails then just add an asterisk or the next Mark (Conqueror Mk II* or Mk III) and explain in the wiki that it had no known official name. This new Conqueror vehicle is a normal Conqueror but with added spaced armor, known as “burster plates” on the hull. These burster plates were actually produced in real life, although not planned to be equipped unless combat was expected. There is also two possible options, for the turret, one including similar armor plate, covering the existing ‘historical’ Conqueror turret, which was test trialled during weapons firing trials. In addition, there is also a new improved turret. There is also a possibility for mounting an improved 120mm gun, the L11, information of which has been recently located. This gun should have generally improved performance in every aspect. A: The Cromwell in game mounts the 75mm HV (Vickers) gun, which fired the projectiles from the American-type 75mm guns, but using a different casing with a more powerful charge. This gun was intended to be mounted in the Cromwell, and a wooden mockup of the turret and gun mounting was least assembled. They ran into significant problems during development and found they would have had to do some serious work to get it to fit. A choice later to use the 76.2mm ammo from the 17 Pounder (a switch in projectile) eventually led to the “OQF 77mm” which was mounted in the Comet. There are a lot of vehicles that have weapons they were never mounted in real life. It is worth mentioning that the increase in the size of the FV304 in patch 9.15 is historically accurate. The current (9.14 and earlier) size is far too small. Q5: ANTHONY: are there any plans to buff the black prince fire power wise? BUMBLER: Is there any chance that the Black Prince will get some kind of weapon buff? I’m not saying give it a 20 or 32pdr, but with the 17pdr I would like to point out that it has significantly lower rate of fire than both the Archer (tier 5 TD) and the firefly. It would be nice to see this thing get some kind of aimtime, gun depression, or dispersion buff (yes I know it’s really good already). A: Unfortunately for the Black Prince there wasn’t much in terms of options for the vehicle when it was initially implemented. There was a meteor engined variant planned, which is represented by the top engine in the game, and many such variants of the Meteor engine exist to buff hp/ton. There is no proof that such a vehicle existed in anything other than on paper to begin with so certainly you could make a case to use one of the more advanced Meteor engines (800+ HP versions exist!) to improve power-to-weight. As with the case of the Black Prince, and several UK Vehicles between T6 and T8 suffer from the same problem with a small calibre, historically quite high-velocity guns being unsuitable due to their low alpha damage. This problem of a bit of a “gun gap” does exist at several tiers in the UK tank line currently, but several guns, both in terms of prototypes and paper designs have been discovered recently and could be implemented possibly into several vehicles if need be. These include modified variants of the 3.7” (94mm) AA gun (not the 32 Pounder) and 4.5” (114mm) AA gun that are suitable for mounting in an array of mid-tier vehicles, and a possible medium velocity 120mm gun that could be suitable in 20 pounder armed vehicles. One final thing for the Black Prince and not an upgrade in game terms would be the addition of a second turret module. The one fitted on the remaining example at Bovington has a turret originally part of the design on the Centurion development fitted (both projects were closely related) so the in-game turret module name is wrong. It was intended to mount the Centurion turret onto this hull too although it was never done. We don’t know which Mark of Centurion turret this would be but either way, the armour would be worse than it has currently. A new turret would therefore only be a new stock turret and actually make it worse in armour terms in-game although stats such as traverse or depression (-8 on the BP current turret, -10 on the Centurion turret) could be buffed. Q6: Anon: Are there any known British Scout LTs? I don’t believe any of the current LTs get Scout status. A: Last I heard publically WG were reviewing light tank match-making and maybe extending light branches to tier 10, the British tree will be fine with this outcome. Q7: THEGRIPPINCHANNEL: Anything about British Autoloaders? A: There are numerous autoloader designs covering various the 76mm L5, 20Pdr type B, and 120mm L11. Q8: CHAD1233: When are we getting the Tetrarch in the British tree? It’s my favourite tank! A: The A.17 Tetrarch in a regular tree has to be different from the premium version and thankfully will be when we get it. So yes. Q9: KALLECRASH: How come the British never heard of “sloped armor”? A: How about looking at the front of just about every tank for a sloping glacis plate? Yes, many have a vertical (or nearly) drivers plate but this simply confirms to how someone appears when seated and it usually thicker to compensate for the lack of angle. Box shapes are simple to produce, they reduce the amount of time required to design and construct a vehicle and are more space efficient internally. Contrary to popular belief about sloped and angled armor, angles are effective for protection but do not solely replace thickness. The other consideration would be the transportation of a vehicle and the maximum gun. Sloping sides reduce the size of the turret ring a vehicle can have and therefore restrict the gun size. 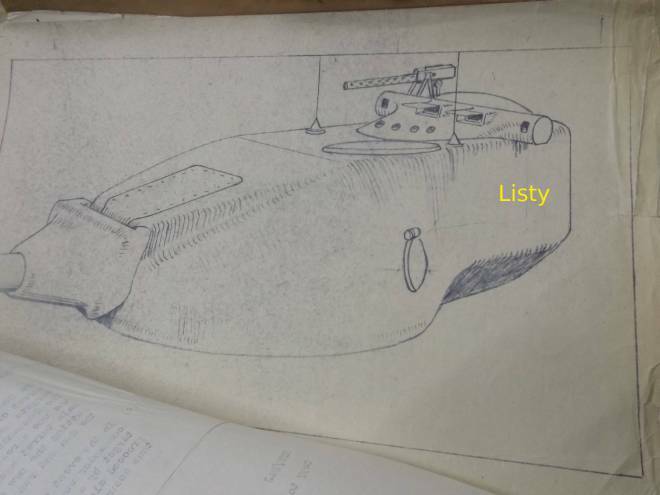 Take two equally sized tanks for length and width, one with sloping armour and one with ‘square’ armour, the angled one will have to have a smaller turret ring and less internal volume for crew, ammunition etc. The squarer one can also mount a wider turret and consequently a wider gun. Sloped armour versus vertical armour is generally not a cut and dry topic. Q10: RENO STEFAN: I’ve noticed that most British tanks, mostly the one I saw in game, have a tendency to use letter ‘C’ as their first letter in their name. AreIs there any reasons behind that..? David Fletcher explains this very well in this video. Post Churchill tank it’s as much tradition as anything for C names. Q11: BUMBLER: It’s well known that the Valentine struggles when it is not top tier. The 6pdr and 75mm are formidable guns, but the Valentine has terrible gun depression and gun handling with these weapons. It really needs to have its fantastic gun depression from the 2pdr to be able to take full advantage of its low profile. Did the Valentine historically use the Little John Adapter and is there any chance of WG giving the Valentine the Little John Adapter as on the Matilda? A: The Littlejohn Adapter was tested and trialled on the Valentine tank (with the 2 Pounder Mk-X). It is certainly a possibility that the gun could be added to the Valentine at wargaming’s wish, although it seems unlikely, given their stance on rebalancing via ‘adding’ new weapons to existing vehicles. There are other options, including a 12 Pounder gun, which was a UK Prototype tank gun of intermediate performance between the 6 pounder and 75mm. Ed Francis has also recently discovered a number of photos of Valentines, including one mounting an unknown gun that looks like a very long barreled 2 Pounder which we have yet to identify but may also be an interesting option. Q11: XAVIER: Are there enough vehicles to make a fleshed out light tank line? Are the FV300 series and FV100 series viable options? A: Yes very much so, from about tier 5 upwards the UK can make (assuming you have no issue with a couple of vehicles which were only designed and not built) probably 2 full (that’s to tier 10) light tank lines with a good smattering of premiums. Q11: XAVIER: Why do you think the Chieftain has bad armor for WoT but it’s great in other games like War Thunder and Armored Warfare + the fact that it was the best armored tank on the planet when it was introduced? A: That ‘fact’ isn’t a fact. The front hull is well angled but not as thick as most sources including BAe at times state. The turret front is very thick and very well sloped. The rest of the tank, sides and rear is fairly rubbish in armour thickness terms. As a consequence, Chieftain is likely to be a medium tank when we finally get it. Q12: ATOMICEMU: I remember seeing claims about the Chieftain turret having to cool for a year after casting. What was the exact technology? Was it just slow cooling to reduce stress in the material, or was it more complicated, like tempering or hardening certain parts during the process? A: The 12 month cooling period is mentioned by Simon Dunstan in his works on Chieftain and there is indeed a reason to control the cooling of a large casting as it is something highly dull/important to do with the formation of a crystalline structure in the metal. Whether or not this was done I don’t know, but MoD data relating to Chieftain turret front protection suggests that the casting was still considered “weaker” than homogenous rolled armour. This suggests that although some controlled cooling would obviously have taken place, the ‘12 months of cooling’ could be misleading or possibly inaccurate. In either case, it did not make the steel some uber-Krupp-esque super steel. Q13: OKINOSHIMAFUSETSUKAN: I’ve heard that WoT’s British gun penetration isn’t an accurate representation of IRL British tank performance? From your research which guns don’t have their real penetration, and what should they be? A: It is difficult to blame WG for incorrect numbers on UK Tank guns. Most sources you’d find for UK Tank guns aren’t even British, to begin with. Generally speaking, most websites and books have UK guns as a sidenote, and they are generally American sources and are not primary source documents. Most; if not all of the UK guns are undervalued by common sources. Many sources show the @30 degrees values, and treat them or incorrectly state them as @0 degrees. Others, it is not clear where the information was gathered from and information gathered makes it quite apparent that most of them are incorrect. In WoT, base gun penetration numbers are based on penetration versus “flat” homogeneous plate @ anywhere from 0 to 100m (WG changes these numbers for balance reasons, some guns are based on point blank numbers in real life, while others appear to be based on the @100 meters). 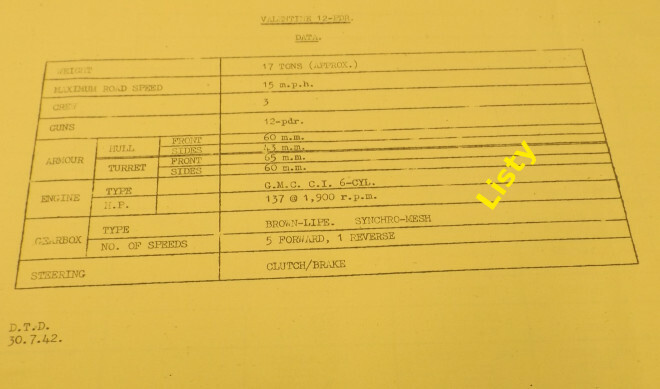 The values above are not sourced from an existing book but rather straight from the UK Ordnance Board documentation and original “Critical Velocity Charts” which are primary source documents. All numbers are penetration at point blank, versus a flat plate. Q14: ARMANDO RODRIGUES: we have heard some people saying we probably only know 30% of anything ever designed in the UK with the rest still buried somewhere in the archives, realistically how much of this is true? A: It’s not far from the truth. It’s hard to know how much is left unknown but there’s been a huge leap in knowledge in the just the past 2 years for the UK. There’s a very large number of vehicles and projects which have yet to be published that we know of, just as a hint of what else there may be. Q15: MARK VARRY: Since WG has been on Aussie kick lately thoughts on a AC3 Sentinel with 25lbr and/or a Valentine CS making it in game? A: It is disappointing that WG chose not to undertake an Australian line branching into the UK line at the Centurion. 2 of the Sentinels have already been used and while it is great to see some Australian armour there were paper designs better suited to premium status than vehicles which were actually produced and could have been introduced as a line in their own right. Q16: MARK VARRY: Any news on a Vickers Valiant? A: Well I hope not. There are better premium-ish vehicles to replace the Excelsior. But that assumes they are going to remove it and not fix the model. The correct armour scheme of the excelsior is an improvement over the current model, which, along with a better engine, muddles the issues. As for the Valiant, there’s more than one design perhaps best suited to being a regular vehicle in due course rather than wasted as a premium. Q17: FASTESTCLASSIC: Do you think the Chieftain would be plausible as the top tank of another “mini-branch” starting from tier 5-6 , leading up to Chieftain prototypes at tier 8 and 9, and ending at tier 10 with the Mk. 6? Q: SLAKRRRRRR: How much information has been found on some of the heavy cruiser tank designs, specifically A36, A37, A40, and A44? A: Yes, enough information has been located for some of these tanks to get them into game but information on them in general is light. Q9: WULF CORBETT: Will the Ram II ever be moved to the British (and Commonwealth) line where it belongs? Possibly as part of the Global Rebalance? It was never a US tank and would never have been used by them. A:Ultimately it would be an internal decision by wargaming, though a commonwealth line is possible merging into the Centurion for medium tanks. There are some nice Commonwealth tank destroyers and the occasional heavy tank too. Thankfully there are other Ram tanks to the one WG wasted so all of us are hoping to get some Canadian pride properly allocated. 1.Was the Crusader ever used in USSR service through lend-lease? If so, did they do anything notable to improve its performance? 2.Why does the FV304 in-game use an unhistorical 4.5 in howitzer? Weren’t there any better choices? A:Because WG is welded to the idea of calibre increases, and the British tended to just use the 25Pdr for everything as it did a great job. So because of the desire for increasing Calibre WG had to invent stuff. There was the FV305; a 5.5” gun on the same chassis, however the similarities end there. 3.Was the Matilda I (A11) ever planned to be fitted with anything other than a machine gun? A: Yes, it came up as part of our research to try and get the A.11 into the game. There’s options to use some decent ammunition for the machine gun and there was also a find in British archives of a suggestion of using the French 25mm gun in it although this idea went nowhere in real life. For WG this would be an ideal solution in our opinion to get the A.11 into the game. 4.Why is the Vickers Medium Mk III in the British line a Tier 3? Wasn’t there any better choices for that spot in the tree? A: None of us were in contact with WG at the time the British tree was first introduced, so it wasn’t really our call to make. 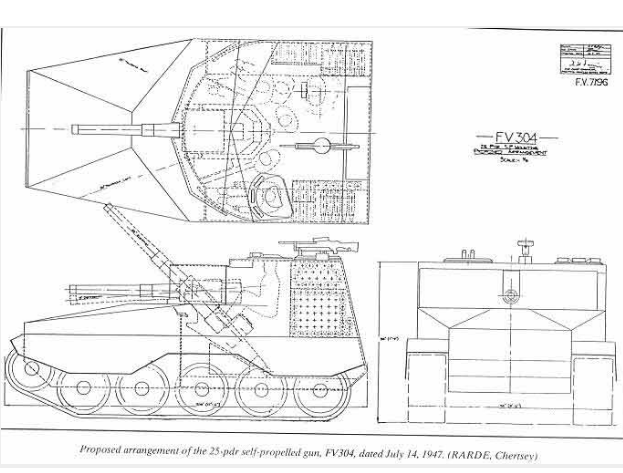 5.Are there any more blueprints/schematics/pictures for the FV300 series (FV301, FV303, FV305) and A46 Light Tank Prototype that aren’t already viewable online? Q37: FASTESTCLASSIC: Oh, another question: Does the A7 Medium Tank still have a chance of making an appearance in the game? I like the idea of a mini-TOG at tier 2 with the 2pdr. Maybe a gift tank, IDK. A: Yes. With the developers looking at tier 10 light tanks, it is also worth mentioning that the British could possibly have two full lines. There are actually enough light tanks to branch off from T6 all the way to T10 with tanks to spare for Premiums. Many of them are yet to be shown publicly. 1- Will the Churchill ever get its famous off road ability. A: Famous or infamous? Issues like torque, and reliability are not modelled in WoT. Mobility is a soft stat bearing often little resemblance to real life. While it would be nice to see a more complete physics system implemented better representative of the tanks themselves, it is both a balance and an internal matter. A: The Tetrarch is very likely to appear in any future British light line. However, as to whether or not it would have the Littlejohn is largely an internal balance decision. Our research also turned up more information on the Littlejohn and different ammunition which furthers their options. A: As far as I am aware, ‘Honey’ was an unofficial designation. A: Unknown at this time. A: Listy has often suggested a Stuart MKVI he likes to call a ‘Jalopy’, he has suggested the title several times and gets it banned each time he does. The term Kangaroo makes no real sense as even without a turret it’s not much use as an APC. 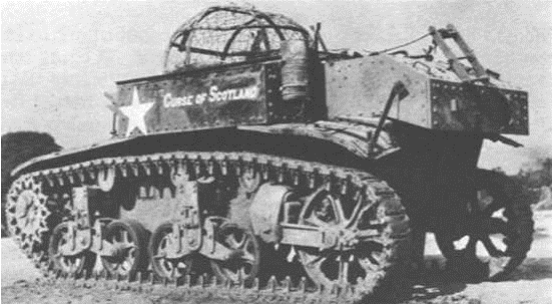 But basically you are asking why we don’t have an unarmed (.50cal maybe at best) turretless Stuart tank in game? Probably because it would be utterly useless. Listy will still want it though…. A– That’s a question for the developers but there’s no reason why not. We have stumbled across more than a few suitable Scottish slogans too. Q41 DEANO: from a balance perspective do you think that giving the challenger a 20 pounder gun in game would be such a big deal? i mean if i remember those guns have the same mounting or something like that so why are wargaming so insistent on making people play a bad tier 7 with a terrible gun for the tier. i mean its a 230 damage gun yeah itd have the best pen joined with the at7 at tier 7 just nerf the rof and aim time for it on the challenger make that line not just a free xp magnet. Any pics or stats for Conqueror AT with autoloader? TOG IV – real project or fake? And when we can see a book about TOGs? Pasholok mentioned a real world alternative for FV215b, what is it? More info about A31 project. Churchill with sloped armor – what it looks like and maybe some modules/stats? 32-pdr maybe? The design of the vehicle was uncovered by Ed. Francis but it was never built. TOGs are very complicated as a development story. ‘TOG IV’ is a fake name though. A book on TOGs is in the works. Probably referring to an upgraded Conqueror. Enough information on A.31 has been found to bring it to the game but isn’t published at this time. Churchill with sloped armour? How? Where? There was a Churchill with a 5.5 inch gun as a SPG variant discussed, but never implemented. Q43: PHONTOMEN: Now that the Sandbox is in full swing, proposing new roles for Tanks. Are there any new British Breakthrough Vehicles candidates being passed around or being considered? Now that we have all these new spaces to fill. A: It’s too soon to know what changes will result from the sandbox, and none of us are privy to the internal discussion surrounding the sandbox server or the future direction of the game. All that said, however, there are a lot of British vehicles which could be introduced, more than a few of which could be considered breakthrough vehicles such as the Heavy Valiant. . The frontal armour of the Heavy Valiant ranges from 4.5” (though well sloped) to the more vertical 9.0” sections (with some pike nose shaping for good measure). With a lower front plate of 8.5” and a 10” thick turret front, it is an incredibly, almost insanely well armoured tank considering its size and weight. Side armour clocks in at a respectable 4.5” to 4” with a 1” thick skirt. Side turret armour comes in at 6.0”, though the rear armour isn’t nearly as thick. Now if only the 75mm/95mm/6 PDR HV matched the armour. Thankfully, we have that area covered with various gun projects and much improved ammunition… the idea of the Heavy Valiant version with twin 20mm Oerlikon cannons would provide some amusement too. Q44: ANONYMOUS: What are your opinions on the Crusader tank? Q47: WHEELEDTANK: Is it possible to see the Scorpion or Scimitar Light tanks, and would they be combined into one vehicle (as the difference is the turret and gun)? If so, what tier could we expect them to be? A: It is likely that we will see the scorpion and scimitar in game. However, what tier, and whether they’ll be combined is up to WG. Q55: jorg2: Would there be candidates for an (new) light tank line? And would other fv304 like vehicles (high rof, high speed) be possible? A: As we mentioned earlier, there are candidates enough for two light tank lines, the second of which would split off after tier 6 and both run to tier 10. As for the second part of the question, if you are referring to FV304 artillery, it remains to be seen what will be done with artillery. Some options for a light line would include, random Vickers Mk. like the Mk.IIIB, A.17 (with new turret), A.18, A.25, A46, FV301, Some Vickers light or medium tanks to top out the branch or alternatively something from the AVR development to lead to Scorpion. Plus there are some totally unknown light tanks found in archives etc. which we can get in. The UK along with a couple other countries can reach tier 10 with light tanks. Q: Who were ‘The Desert Rats’? What was their roll in North Africa? What tanks, if any, did they use? Any insights into the tactics of The Desert Rats that could help us in the WoT battlefields? A: The Desert Rats were made up of the 7th Armoured Division, 4th and 7th Armoured Brigades; the Black Rats, and Green Jerboa’s respectively http://www.desertrats.org.uk/ They were critically important in North Africa fighting the combined Italian and German forces and its not really possible to give a full summary of their actions in a short answer. Follow the links in the website above is probably the best and most honest advice. Tanks used included (in multiple theatres) A.12 Matilda II, Mk.VI Light Tank, A.9 Cruiser, A.10 Cruiser, A.13 Cruiser, Valentine, Crusader, Stuart, Sherman, Grant, Sherman Firefly, Cromwell, Challenger (A.30), Chaffee, Comet. There’s basically nothing of real value from real life desert tactics which translates directly to game apart maybe from the principle of flanking. The Desert Rats were successful though in North Africa for several reasons, not least of which was excellent leadership from General Montgomery. Lots of lots of artillery bombardments. The game is just a game. Q57: ANONYMOUS: Can we expect to see the Uk Fv4401 Continious (Name possibly spelt wrong) and perhaps the French Lorr CDA As a future tank destroyers. A: Possibly. With regards to the FV4401, however, Contentious isn’t actually one vehicle, but rather a number of vehicles, test-rigs and designs created in an effort to fulfil a certain design goal. As for the one which sits at Bovington, can’t say as of yet. Q: BATTLEBUDGIE: A note and sort of question (basically, ‘amiright’?) on British vertical surfaces. I believe that the railways of Britain were an influence. The Loading Guage (clear space around and above the tracks) on UK railways is significantly less than US, Russian and European railways. Since the railways were, up until the end of WWII THE way to move tanks long distances British tanks had to be designed to have tighter maximum dimensions than other nations armoured vehicles. In order to get the same number of people, equipment, ammunition etc. as other nations used for a given role within the tighter maximum dimensions the sides of vehicles had to be more vertical for better volumetric efficiency. A: maximum height and width is commonly restricted by rail loading gauge yes. If the sides slope in then the maximum width of the turret ring is also reduced so vertical sides make better use of the maximum width of vehicle which is restricted by a rail gauge. Q: Bumbler: It’s no secret that fans of the British line are salty about the Tetrarch. How does that tank compare/contrast with the Harry Hopkins? What are your thoughts on introducing one or both of them or how could they be implemented? Q:The Churchill and Churchill VII are very similar with the latter mostly just being an up-armored version of the former. I’ve read in a few places that these tanks were very good at climbing steep slopes. Is there any chance of this ability being implemented in some way that doesn’t conflict with map design such as increased hp/ton or reduced terrain resistance? A: The real life mobility or climbing ability of many tanks is poorly represented in game currently along with issues like torque, acceleration, and reverse speed. Q: The Churchill VII has much better armor than the tier 5 version despite the same gargantuan weakspots. As top tier it fares quite well (if you know how to play its style) despite its laughable top speed. I can understand the hp/ton being lower due to increased armor and the same engine, but why is the Churchill VII top speed so much slower than the tier 5? A: Unsure what ‘gargantuan weakspots’ you are referring to. Regarding the speed, ultimately it does come down to weight. Increases in weight don’t only affect hp/t of tanks, but ground pressure, stress on the automotive components to name a few. Q: What are your thoughts on giving this tank some kind of big howitzer? As I understand it, WG doesn’t want to implement the AVRE so why don’t they give this thing some derp… I mean it already has terrible gun depression, large weakspots, is very slow and clumsy…. it would be a great platform for a howitzer and would give people a choice in playstyles from fast firing dpm to big blasty derp gun. Thanks! A: The AVRE guns are likely too hard to implement in game as they would be a nightmare to balance. No one likes being one shotted. It remains an internal decision either way. The Churchill tanks really were not fast but they have decent armour to make up for it. Q: ADITYA: Regarding my question about the superconqueror- i had no intention of calling a ‘conqueror with ballistic shield and anti explosive shield’ as superconqueror as I am no fan of fake names myself. Real question is that- will this machine come to world of tanks? A: Why wouldn’t it? Most of the vehicle is already modelled so just adding some spaced armour across the hull, turret and gun is a fairly simple process and can replace a made up tank. Seems like a logical step. Q: ISH: CWJIAN90: I find it very hard to believe that the 6-pounder AP can outperform that of the ZiS-2, considering the ZiS-2 has a significantly higher muzzle velocity and fires a heavier shell. A: I’m afraid you might have to be a little more specific than that. Which shell fired by the 6-pounder outperforms which shell fired by the ZiS-2? Could you post or pm your data and sources and we’ll have a look.